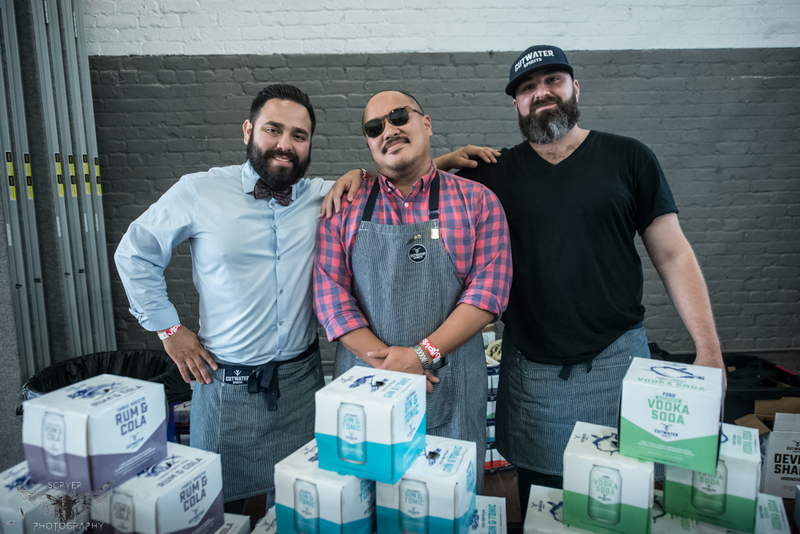 Many are widely familiar with the annual New York City Hot Sauce Expo which attracts hundreds of New Yorkers, including out of state travelers to check out some of the best hot sauce vendors in the U.S. 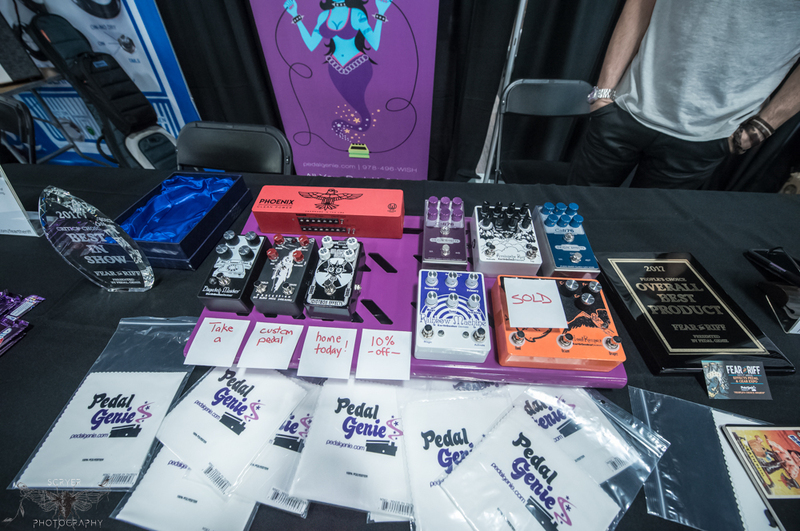 Shortly after the fifth annual New York City Hot Sauce Expo, its brother, Fear The Riff Expo - NYC's 1st Annual Effects Pedal & Gear Expo had been announced to take place on October 7, 2017. 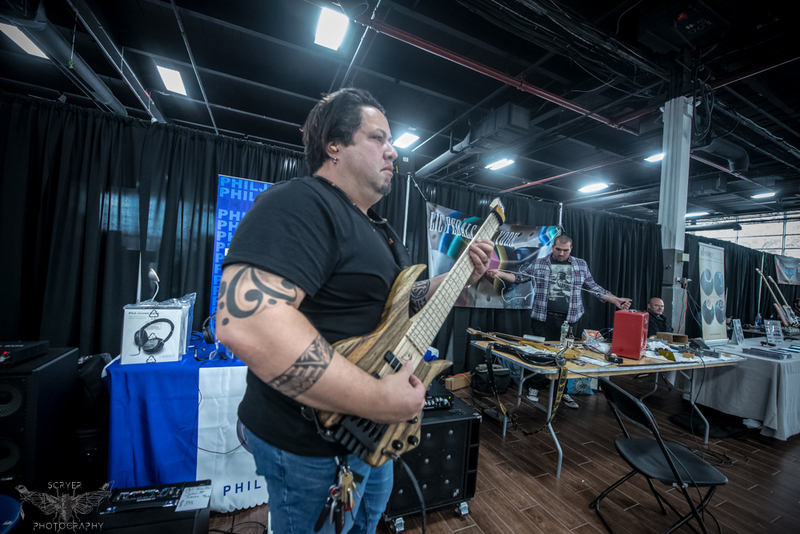 Fear The Riff was also hosted at the Brooklyn Expo Center, and caters to musicians, audio engineers, entrepreneurs, audio equipment merchants, and guitar and bass guitar enthusiasts alike. 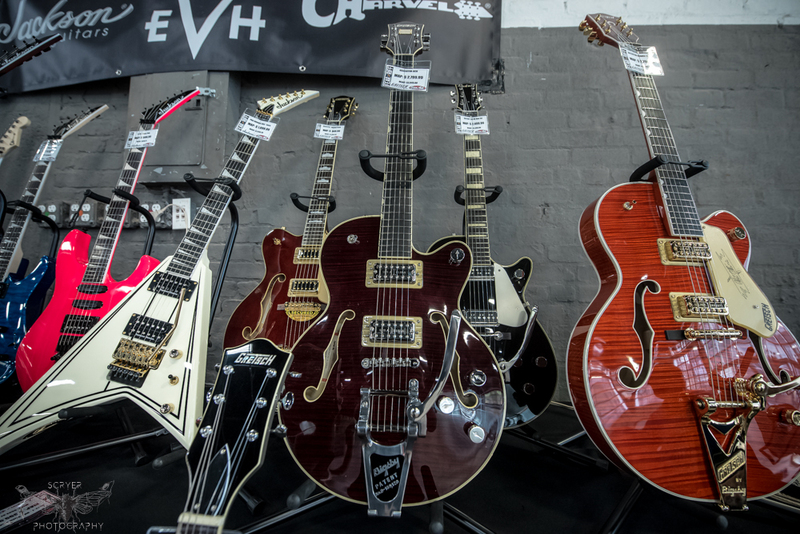 Fear The Riff Expo opens its doors to veteran music merchant companies, as well as new companies expanding on their custom products. Due to the positive feedback that already circulated around the New York City Hot Sauce Expo, Fear The Riff gained initial traction through the hot sauce expo's good reputation, along with renowned sponsors such as SAM ASH, CUTWATER SPIRITS, GEAR GODS, JED FOUNDATION, HIGH RIVER SAUCES, LAGUNITAS BREWING COMPANY, LOUDWIRE, PEDAL GENIE, PINKS BAR & GRILL, REVOLVER MAGAZINE, RIGS OF DOOM, ROCK AND WRAP IT UP, TONE MOB, VIRGIL KAINE LOWCOUNTRY WHISKEY CO., and WSOU 89.5. Doors for Fear The Riff Expo opened at 10:15 A.M. 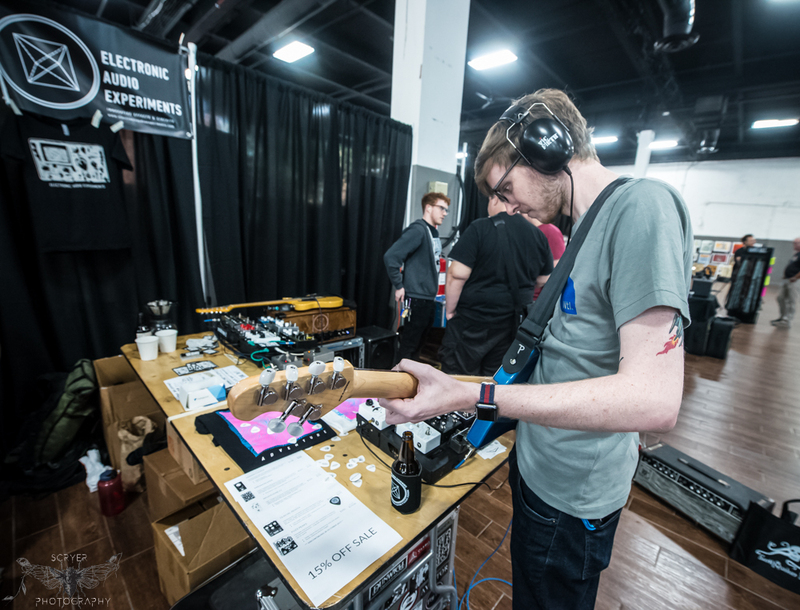 The Sam Ash Demo Stage held half hour demo presentations for select vendors participating at the expo. Booths situated throughout the expo center greeted guests with booth demos and reading material on displayed products up for purchase. 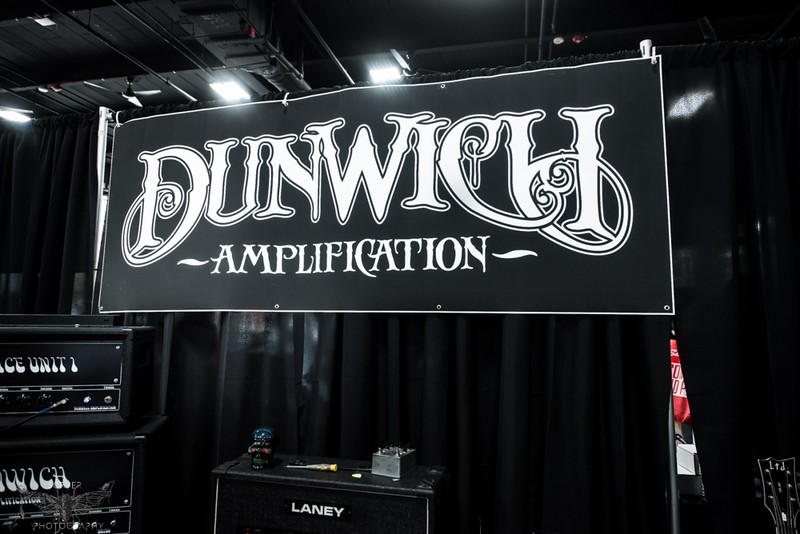 The Night Owl Industries booth presented its hand crafted amplifiers constructed with vintage electrical work. 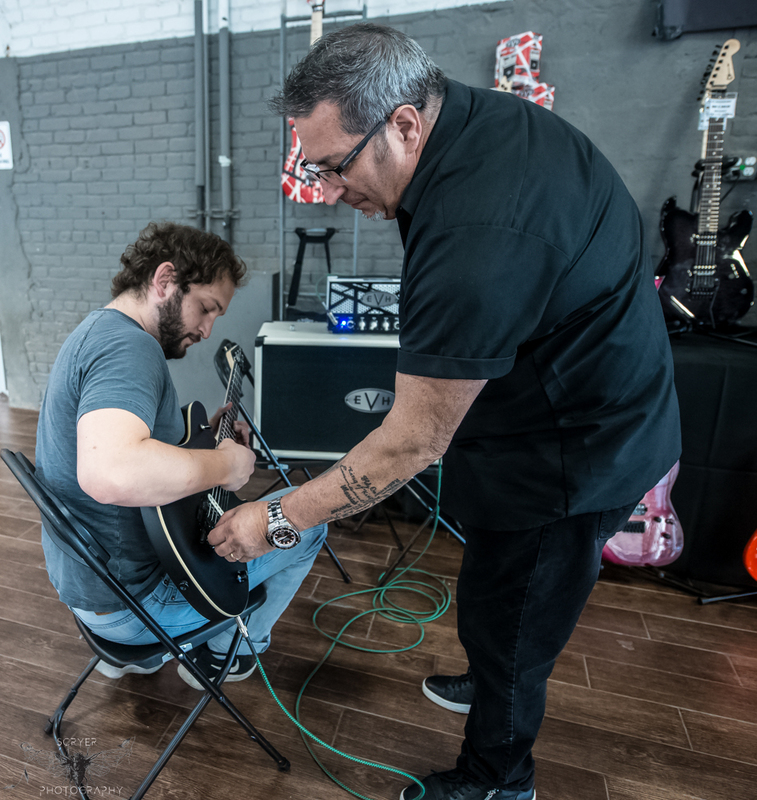 Night Owl Industries' owner/builder Seth works alone and plans to release new amps every three months, as the construction of his amps requires one month of handwork, one month for finshes and adding tubes are quick for the final product. Night Owl amps are ideal for home, studio, or small venue use, "carrying full bodies, tight, and warm to raw, loose, and over driven tones." Night Owl Industries are preparing to release their 2018 Spring Batch which will be limited to 100 units. Night Owl's mission is to offer their clients an escape from virtual and digital to experience analog musicianship. Damnation Audio launched on October 2016 in Baltimore, MD. Damnation Audio specializes in manufacturing bass distortion pedals with the Damnation Audio MBD-1 MOSFET Bass Distortion available on the company website. For bass guitarists who look to achieve a tasteful distorted bass tone for various types of bass guitars to create heavy fuzz tones and high output, especially for down tuned instruments. Fear The Riff riffers brought along their own instruments to demo the amps and pedals. 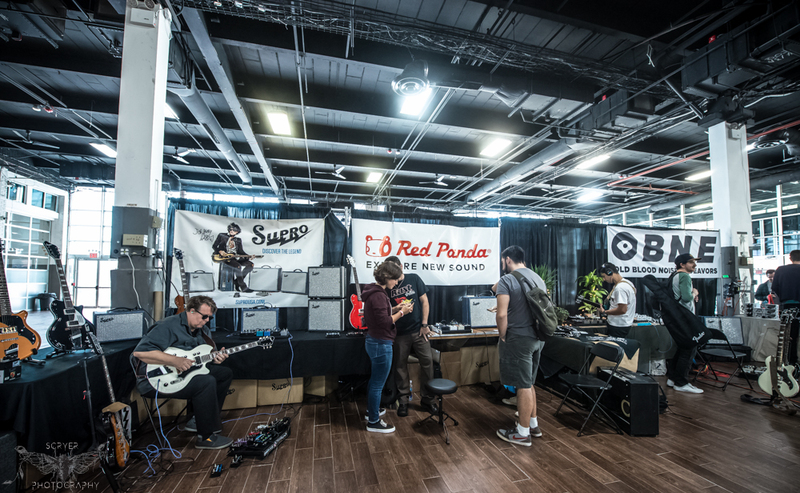 At the EarthQuaker Devices booth, one woman attracted a small crowd while demonstrating the company's effects pedals on her electric violin. 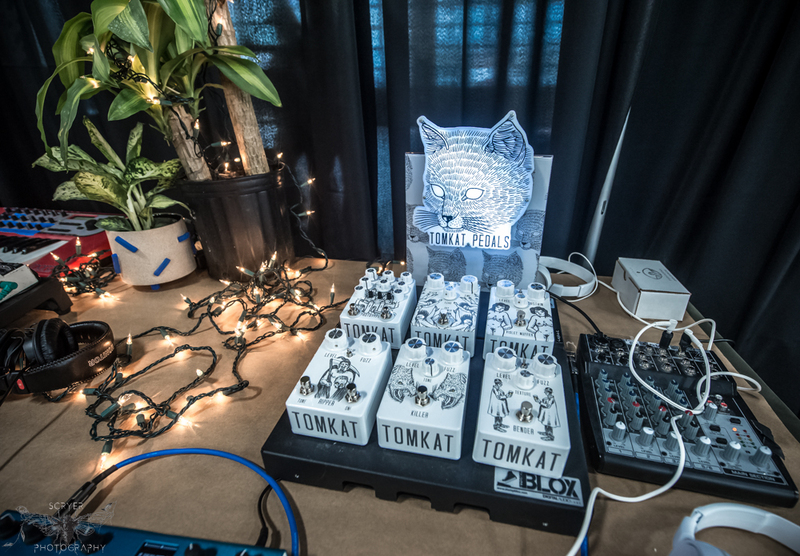 Since 2004, EarthQuake Devices owner Jamie Stillman has impressively stocked the company's inventory with uniquely themed effects pedals, such as their latest called, "Eruptor" which delivers an ultimate fuzz tone. 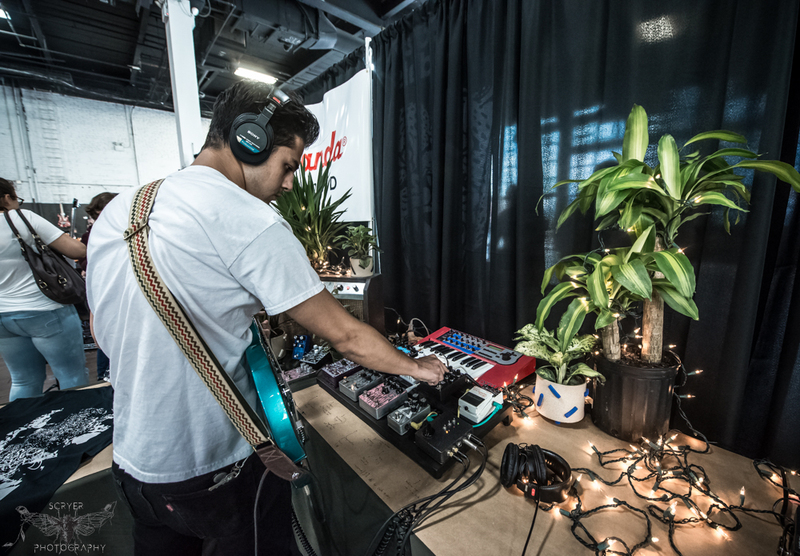 EarthQuaker Devices believe in user friendly pedals, simultaneously offering room for maximum creativity. 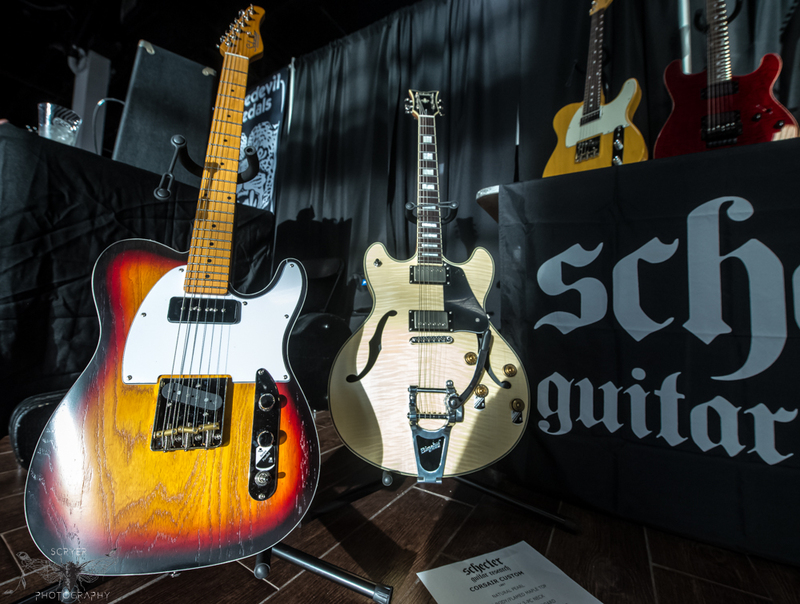 Influential guitar giant PRS Guitars displayed a fortress of their S2 and SE guitars, including Mark Holcomb of Periphery's SE Mark Holcomb Burst and Zach Meyers of Shinedown's SE Zach Myers Semi-Hollow Body featured below. Reps at the PRS booth kindly offered brief demos on PRS guitars through PRS amps. PRS Guitars will be returning to NAMM 2018 and have announced a new limited edition model in their S2 series the S2 VR Vela. 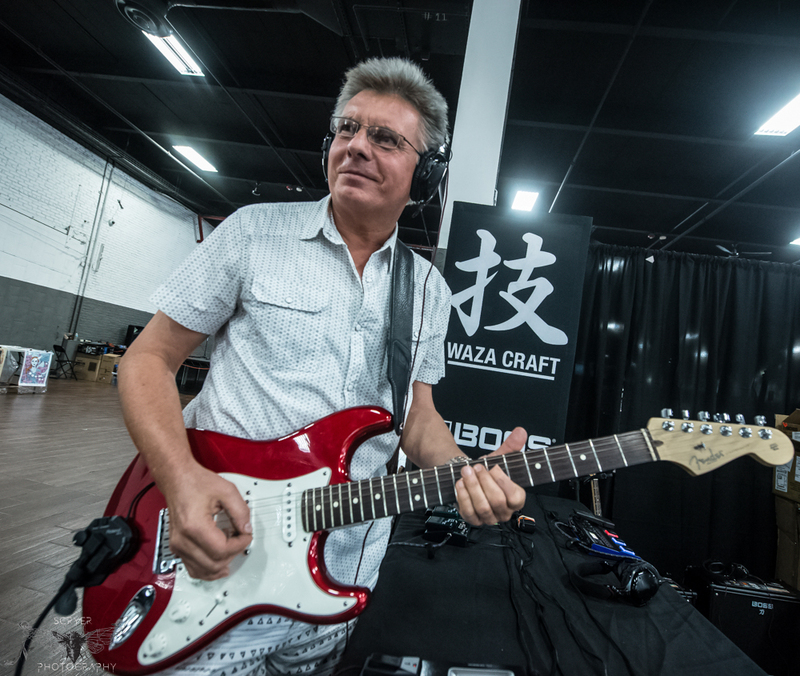 Analog Alien Guitar Effects Pedals and owners Joe and Jack Napoli appeared at Fear The Riff Expo with their custom-tailored the "Joe Walsh Double Classic" pedal for the Clown Prince of Rock himself Joe Walsh of The Eagles. "A great responsive limitter/compressor with pre-post option, coupled to a channel strip. Use it as a buffer, EQ, clean boost or overdrive. This pedal is like adding another amp to your rig - Enjoy! ", is Joe Walsh's own testimonial to his specially made dual effects pedal by Analog Alien. Analog Alien has been in business for seven years with Joan Jett, Elliot Easton of The Cars, Vertical Horizon and more as clientele. 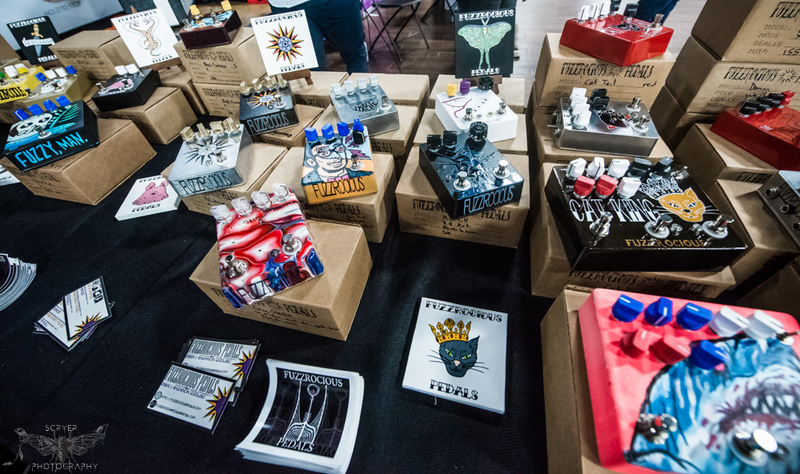 Fear The Riff also brought out some innovative guitar, pedal, and amp accessory companies. Option Knob Inc. came out to promote their brand new "WingMan - Effects Pedal Foot Controller". The foot controlled effects pedal knob easily replaces factory knobs to gain more control over effects levels with a nudge of your foot. Option Knob Inc. opened shop in 2008 and appeared at NAMM 2017. WingMan™ was released by Option Knob three months ago and has garnered much popularity for its ease during live performance. Option Knob Inc. handed out free WingMan foot control knob samples to people visiting their booth along with an opportunity to sample them on pedals. VIP purchases to Fear The Riff Expo offered unlimited beer and cocktails from Cutwater Spirits, Virgil Kaine Lowcountry Whiskey Co. and Lagunitas Brewing Company. 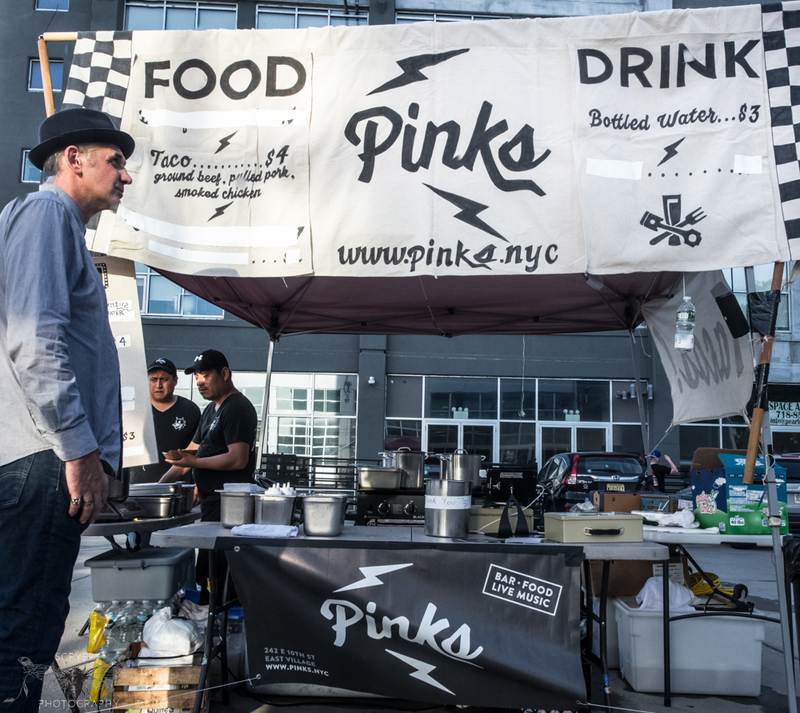 Outdoor access was available to all who were looking to ground up some grub at the Pinks Bar & Grill food truck, as well as beer vendors situated throughout the Brooklyn Expo Center selling cold brews. Gibson Guitars' massive tour bus stood parked in the Brooklyn Expo Center parking lot nearby the food trucks. 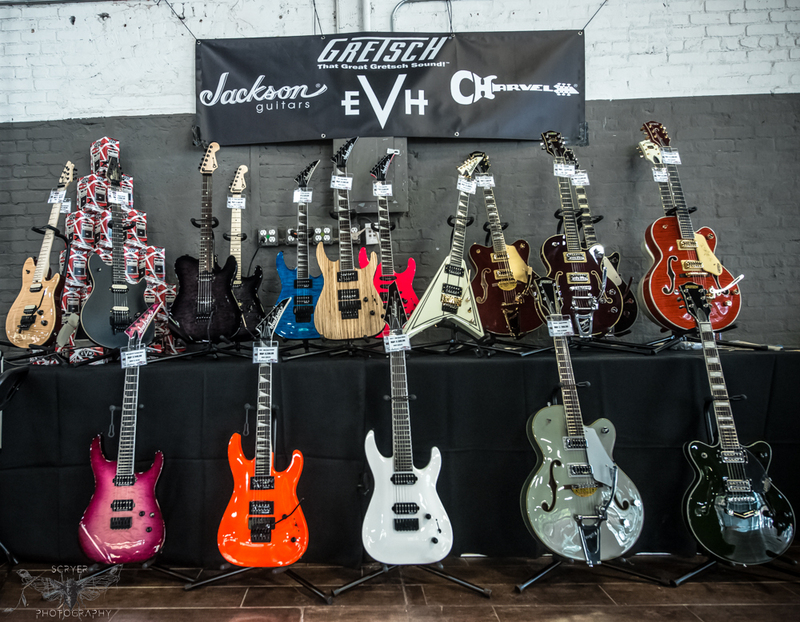 Schecter Guitars had the advantage of having their booth near the expo center's floor to ceiling windows where the sun cascaded over Schecter's new line of showcased guitars. 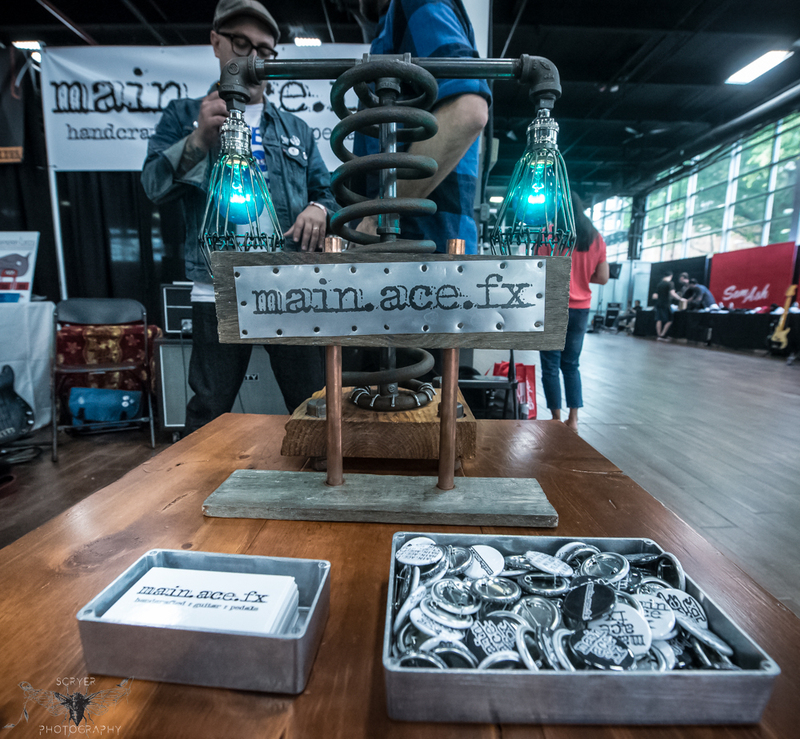 main.ace.fx pedals were one of the interesting products to see, as their appearance and sound can be customized to what the client wants, 100% handmade and "100% Delicious", with all artwork done in New Jersey. 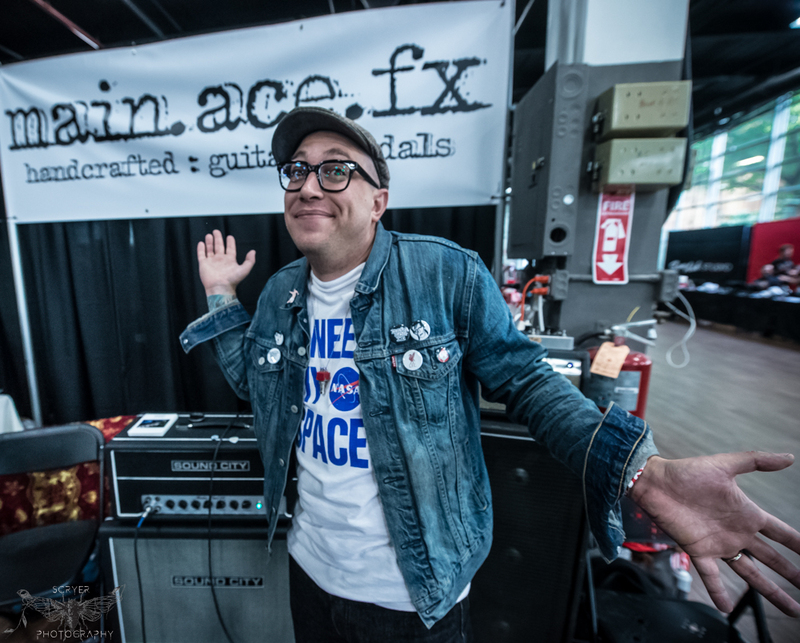 main.ace.fx are dedicated to donating 10% of all pedal sales to homeless animals as well. Fans of the movie Dune should also check out the company's 'spice' pedal "Navigator". 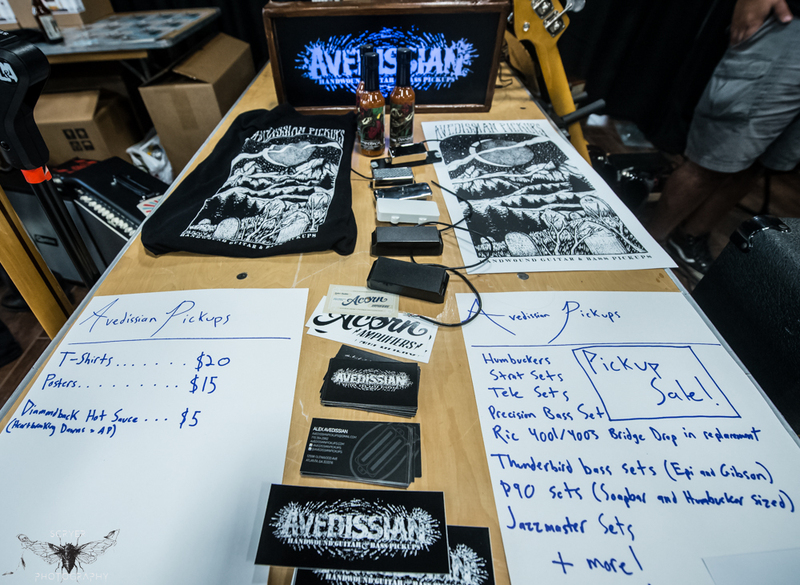 Avedissian, Gretsch Guitars, Acorn Amplifiers, Magic Pedals, Fuzzrocious Pedals and more were also highlighted vendors at Fear The Riff. For more information on Fear The Riff Expo, visit their website at www.feartheriff.com. More photos of the event below!